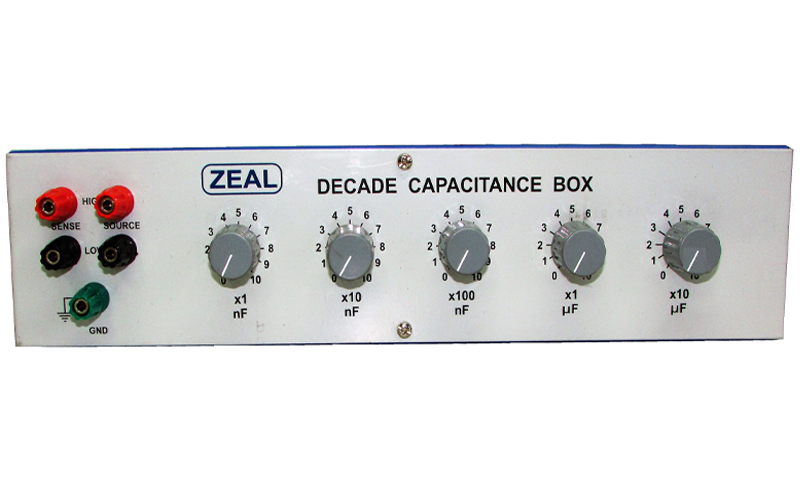 We are Manufacturer, Supplier, Exporter of Decade Capacitance Boxes and we are also specialized in Calibration Services ( Calibrator ). Our setup is situated in Pune, Maharashtra, India. 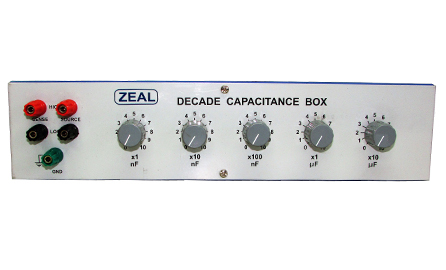 Decade Capacitance Box is made of styroflex, polystyrene and Tantalum Electrolytic capacitors. Decade switches used have low contact resistance & thermal emf. Decades are fitted in a metallic box with powder coating & screen printing. Box has 4 wire output with guard terminal. 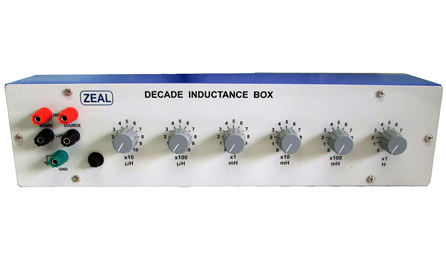 The decade switches used have low contact resistance and low thermal emf. Decade Inductance Box is custom wound and high permeability ferrite cores ensure insignificant influence from external magnetic fields and maximum stability. It is a metallic box with powder coating & screen printing.